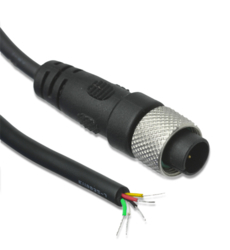 These input leads are compatible with Tinytag current, voltage, millivolt and count data loggers. They are supplied with the data loggers so separate ordering is only needed when spares are required. This 3-wire cable for the Talk 2 voltage and current data loggers comes with a 1.5m cable and weighs 27g. 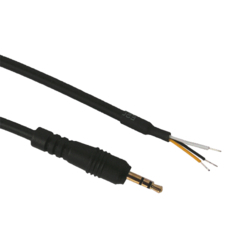 This 5-wire cable for certain Tinytag current and voltage data loggers comes with a 1.5m cable and weighs 50g. 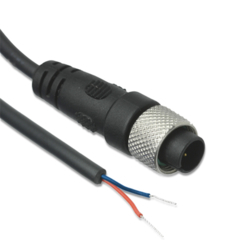 This 2-wire cable for Tinytag current, count and millivolt data loggers comes with a 1.5m cable and weighs 30g.